Long hair looks chic if two conditions are met – good care for them and the presence of a beautiful styling. Then they will make the female image not just feminine and gentle, but also luxurious. Moreover, there are a lot of ways to put such locks on, which allows you to experiment every day with your hair. To long hair fit well into the hairstyle, you should first wash your head, and then it is desirable to apply an air conditioner or a nourishing mask on them. Then they will become softer and more obedient. In addition, it is wet hair when drying take the desired shape – dry strands to lay in the right way is almost impossible. Since long curls are combed more difficultly, after washing it is better to use not a brush, but a scallop with thick, rare denticles. It is he who will help to comb wet hair without nerves and harm to the hair. The best styling is obtained when drying wet hair with a hair dryer, since if you leave your hair to dry naturally, the hairstyle can eventually turn out to be quite unexpected. In order not to cause harm to the locks, it is better to put the hair dryer on the flow of cold air, but in this case the drying and styling will be delayed for a long time. To eventually get straight and smooth strands, you should use a flat brush of natural bristles for laying. And hold it through the hair when drying with a hair dryer. When the curls are almost dry, you can take a large round brush, wrap the strand on it to the roots and leave for a minute under the flow of cool air from the hair dryer. Thanks to this hair will have an additional volume. Next, you can use ironing, because the absolute smoothness of the strands with a hair dryer can not be achieved. After warming it to the desired temperature, slowly pass it through the hair, separating the strand by the span. At the very end, you can use hair wax to fix the styling and give the hair shine. To do this, a small amount should be captured with your fingertips, rubbed in the palms of your hands, and then carried through your hair. Before drying the hair dryer or using ironing, it is recommended to apply a heat-protective spray on your hair, which will protect your hair from exposure to high temperatures. Elegant looks and curls on long hair. It's easier to make them all on thin and fluffy strands – in this case you can use only a hair dryer and a round brush. To do this, you need to dry your hair a little bit naturally, so that water does not drip from it. 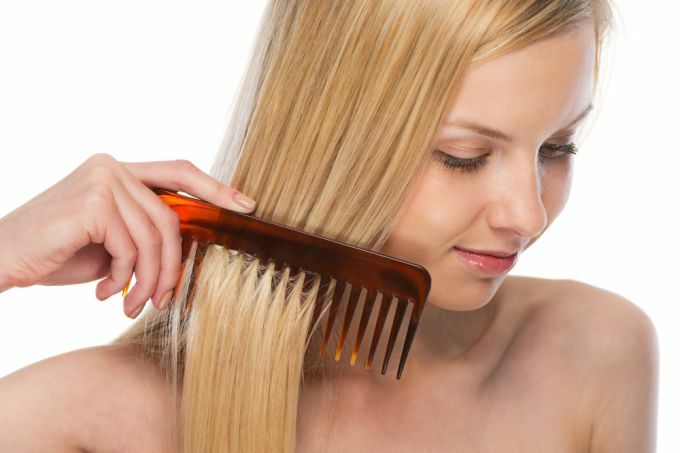 Then separate a small strand, hold it on the comb, while drying it with a hair dryer and winding it on the brush. And then leave under the flow of hot air until completely dry. In order not to burn the hair, you can quickly move your hand with the hair dryer and return to its original position. At the end of drying, the brush should be removed from the curl, rotating in a spiral. Если волосы тяжелые, сделать на них локоны можно будет с помощью плойки или термобигудей. Это займет примерно от 10 до 15 минут, в зависимости от длины и густоты шевелюры. В конце прическу следует сбрызнуть лаком. А чтобы закрепить кудри на более длительное время, на них лучше нанести воск. Для этого небольшое количество нужно взять на указательный палец и накрутить на него локон. Also, long hair looks great in the hairstyle. You can, for example, braid braids or collect strands in a pony tail. However, the latter will look spectacular only on thick, straight hair. Fuzzy head of hear can be gathered in a bundle, tying it with a suede ribbon or a twisted kerchief, depending on the image being created.